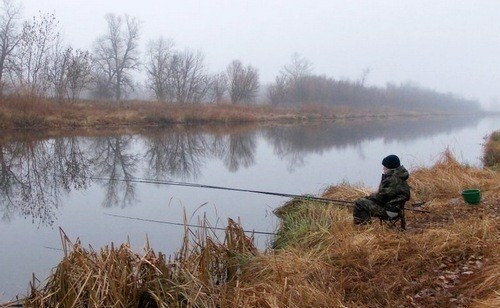 Fishing for carp in October – not an easy task, as the life processes of the fish with cold slow. The fish becomes sluggish and is preparing for hibernation. On the other hand the natural food with the arrival of cold weather in the reservoirs becomes smaller. Some guarantee biting may be her casting “under the nose” of the fish. The biting of a crucian is not predictable, even on Sunny summer days, and autumn in October and even more so. The main factor affecting the fish, is the weather. Stable weather for several days will give the opportunity to bite the fussiest of eaters. Caught both from a boat and from the shore. Choose deep muddy holes, where the water temperature is acceptable for life. in large flow-through lakes, saturated with oxygen and aquatic vegetation catching big carp is still possible. When fishing from a boat, avoid getting shadows from the boats and fisherman at the fishing place – moving shadow can scare the fish. Prefers quiet, slow waters. In such a rivers carp remains active for a long time. This is due to the replenishment of oxygen in the flowing water. Favourite habitats in rivers: muddy backwaters and oxbow lakes where a lot of vegetation. 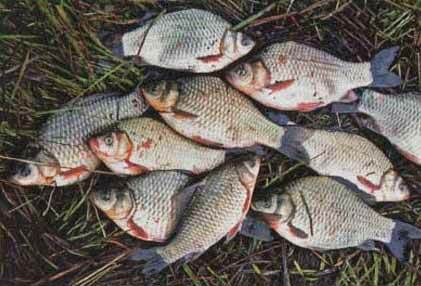 Loves carp to accumulate in the muddy holes between the channel and the shore, surviving of them bream. In both lakes and on the river with a cold practically ceases to move across the pond. Autumn carp are picky about baits. 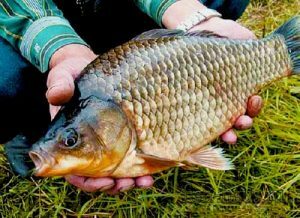 In October, crucian carp bite on high-calorie foods, is able to replenish fat reserves for the winter. Food of the carp regularly. Often pokorivshii, until a few days digesting food and then proceeds to the next search of prey. Plant tips in October are extremely rare. To try to catch you on the barley, especially if it is in the bait, and dough, mash and bread. The best bait in October, many anglers recognized the beam motylja. Applying bloodworms, remember that he loves and whole small fish that can spoil a fishing trip. The use of worm can produce good results if the water in the fishing remains moderately warm for about 14 – 16 degrees. Usually use a bunch of 2-3 small worms. Overall, however, active nibble on the worm in October is rare. A solid second place among the baits is a bundle of maggots, and a sandwich of maggots and bloodworms. Bait during the autumn catching carp on the float rod should be above the bottom, and not to lie on it. Float rod is the main tool carp fishing in October. For fishing from shore are used, telescopic rods with a length of 6-7 meters, with boats of 3-5 metres. In October, for fishing from shore may require long-distance casting, so you need to use spinning reel light class and equipment of the rod carrying the rings. 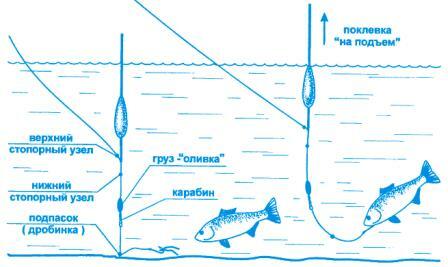 Fishing in October is used as the mounting with sliding and fixed on the fishing line float with carrying capacity of about 2-3 grams with a long keel, which prevents the collapsing of the wave. Hooks – light № 2,5-5 according to the Soviet classification. 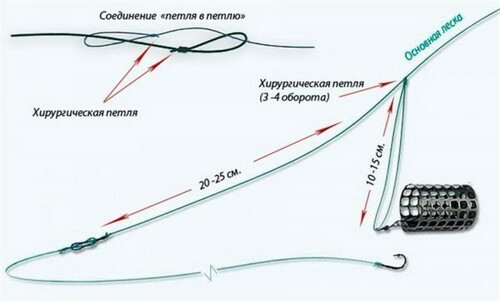 Line was painted in a color that did not catch fish – green, brown etc. depending on the places of fishing. The diameter of the main fishing line no more than 0.15 mm, leash – 0,08-0,12 mm. Fall fishing means that weather conditions are not very comfortable – wind, wave, rain. So ogruzka should be heavy, allows you to make accurate casts in windy conditions and reduces the possibility of demolition gear. The ratio of the float-the package should provide maximum sensitivity – the slightest resistance tackle bite can scare the fish. Fishing for carp on the feeder in October, if a good shore fish impossible to get float rod. In addition, the feeder is the ideal tackle for fishing at depths, where in the autumn of carp and is. Also the feeder is great for fishing in windy weather with a superb sensitivity. Depending on the conditions of fishing feeder rod is chosen with a length of 3.0-3.6 meters. The test rod is about 60-80 grams. Coil heads light or medium class 1500-2500. The presence of a well-regulated clutch definitely – a thin leash requires a clear setting. When you select snap-ins for fishing in the water is more transparent than in the summer, you must start from the principle of invisibility. Therefore the main fishing line to the feeder we put no thicker than 0,16-0,18 mm and the thinner leash 0,14 mm. Hooks are sized by the size of the lure from No. 4 to No. 6 in the national classification. Animal baits better suited with a long fore-end for plant – short. To feeder snap-ins, carp are not especially picky. For catching him will suit all classical symmetric and asymmetric loop, loop Gardner, paternoster etc. Tip! For fishing on the bottom with a deep layer of silt is necessary for the hook to stick the Styrofoam peanuts. For successful carp fishing in October required only three conditions to choose the right place and tackle, as well as guess “delicious” for him the bait.